So we found out when we were in Hawaii for Thanksgiving that Ashley & Steve were expecting, and because it was so early, we had to keep it quiet. Now that the pregnancy has reached 20 weeks, we can tell everyone and now we know that she is a girl! Whoohoo!! 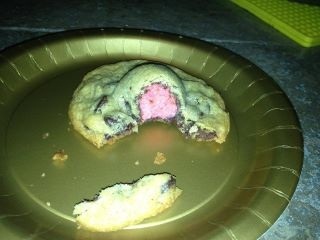 And here we are "tickled pink" when we discovered the inside of the cookie was pink!! 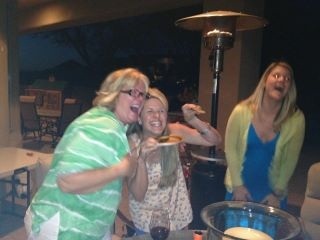 Two crazy grandmas and a very happy Aunt Kelly!! 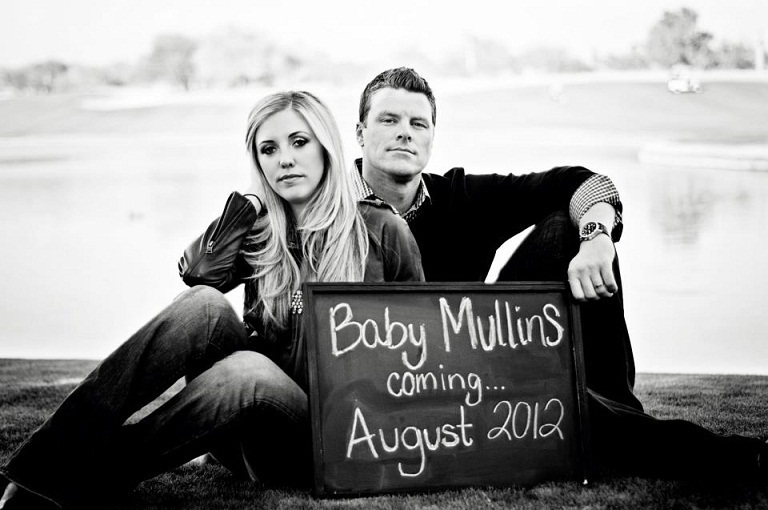 This was such a fun way to find out the baby is a girl, and now...let the shopping begin! !